Baton Rouge (LA) Competition was keen as twelve teams competed for top honors at the 17th Annual Black History Quiz Bowl hosted by the Southern University Ag Center on Thursday, February 25. The questions covered a variety of topics including politics, civil rights, culture, sports, and the arts. Five high school teams and seven teams from the College of Agricultural, Family, and Consumer Sciences competed against each other. sessions. “The high school teams signed up early and, consequently received the study guides earlier. They took the event seriously. It was truly inspirational to see these young people perform so well,” added Bandele. 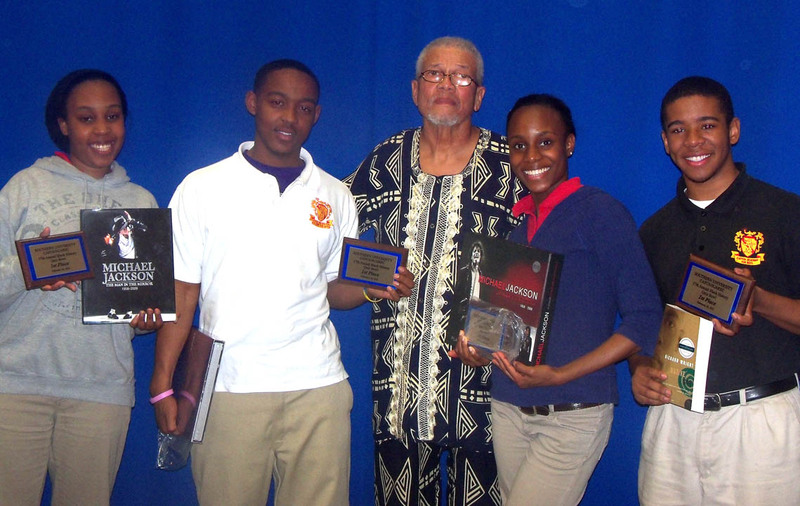 The Capitol High Academy team included John Brumfield, Sherrell Briggs, Darius Williams, and Hanifah Muhammad. 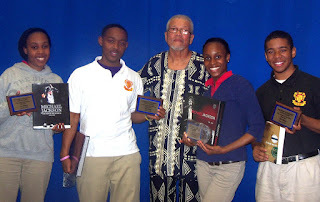 Timbuktu Academy team members included Ikechi Akujobi, Justin Brumfield, Kristopher Dandridge, and Cyla Queen. The Animal Scientists team consisted of Isaiah Nelson, Bryan Smith, Patience Muse, and Bryan Goins. All participants received books by or about African Americans as gifts. BATON ROUGE, LA, February 15, 2011—Small business owners and contractors are invited to participate in the Seventh Annual Connecting Businesses with Contracts Procurement Conference, March 29, 2011, at the Southern University Smith Brown Memorial Student Union, 500 Jesse N. Stone Avenue, Baton Rouge, LA 70813. The conference continues to bring together potential and existing contractors, entrepreneurs and government agencies in position for business match-making. Small enterprises are provided an opportunity to meet contracting officers and purchasing agents. Attendees will receive information on sources of assistance, the process of registration and obtaining licensing, methods of financing, and securing contracts. Participants will be exposed to techniques on selling products and services to private industry and federal, state, and local governments. Representatives from the United States Small Business Administration will be available to discuss SBA programs, guarantees, certification process, bonds and surety, GO Loans, and disaster loans. Likewise, the Louisiana State Contractor Licensing Department will answer questions from individuals who want to become licensed or from existing contractors. The conference is hosted by the Southern University Agricultural Research and Extension Center, the Center for Rural and Small Business Development, Louisiana Small Business Development Centers in Baton Rouge and Lafayette, the U. S. Small Business Administration, Louisiana Procurement Technical Assistance Center and Louisiana Economic Development Corporation. The event is free, but registration ends Thursday, March 24, 2011. All visitors should park at Southern University Mini Dome from where they will be shuttled to the Student Union. BATON ROUGE, LA, 2/10/2011 – Southern University Ag Center professor, Daniel Collins, accompanies students to participate in the USDA Agricultural Research Service (ARS) Beltsville Area Graduate Student Agricultural Research Symposium Feb. 10-11, 2011 in Beltsville, MD. Graduate students from the Urban Forestry program at Southern University will participate in this Symposium sponsored by the Beltsville Area Diversity Task Force. The goal of the symposium is to expose students to career opportunities at the Beltsville Agricultural Research Center and throughout the United States Department of Agriculture. The symposium will bring together the talents of 1890 Land Grant Institution students and future scientists with the ARS scientific staff to strengthen collaborations and jointly enhance the scientific advancement of our nation's agriculture. The Urban Forestry program has a couple of ongoing research projects with ARS including screening the gulf coast forest species for reaction to Phytophthora ramorum, and the use of remote sensing and multispectral analysis for detecting citrus trees in urban environments to enhance surveys for pests of citrus. The Symposium will feature oral and poster presentations by graduate students from six 1890 Land Grant Institutions including Southern University. Nine graduate students from the SU Urban Forestry Program will be making oral and poster presentations. Presenting in the oral category are doctoral students Ryan Nicholas, Yongsheng Li, Vanessa Ferchaud, and Mary Beals; and Master’s degree student Michaela Danzy. The poster presentation category includes doctoral students Chris Chappell, Jason Preuett, and Tanganika Johnson; and Master’s degree students Amy Gilliam and Brian Mims. BATON ROUGE, LA, 2/9/2011 – Southern University Agricultural and Research Extension Center is hosting its 17th annual Black History Quiz Bowl. The event will be held Thursday, February 24, 2011 at 3:00 p.m. in the Auditorium of the Ag Center. This is an educational and exciting event for everyone to attend. In previous years, the Quiz Bowl has been very successful. All departments, divisions, clubs, student organizations and individual students within the university are encouraged to form teams in preparation for this event. Each team will consist of four players, one of whom should serve as captain. All teams must register in the College of Agricultural, Family and Consumer Sciences Dean's complex located in room 102 Fisher Hall. The deadline to register is Friday, February 18, 2011. A variety of topics will be covered, including current events, politics, history, sports and entertainment. All interested students must sign the roster at the Southern University College of Agricultural, Family and Consumer Sciences Dean's complex. For further details, please contact Dr. Owusu Bandele at (225) 284-0063. BATON ROUGE, LA, 2/2/2011 – National 4-H Council is proud to announce that it has launched a nationwide mentoring initiative to increase youth social competency, family relationships, and academic success. The 4-H National Mentoring Program will provide funding to land-grant universities in 47 states to replicate three evidence-based Extension 4-H programs in communities that have an increased risk for youth delinquency. The Department of Justice’s Office of Juvenile Justice and Delinquency Prevention (OJJDP) awarded a $5 million grant to National 4-H Council in support of the 4-H National Mentoring Program. The grant comes as a part of the OJJDP’s national effort to strengthen, expand and implement youth mentoring activities nationwide to improve the lives of millions of young Americans. Southern University Agricultural Research and Extension Center is pleased to announce it has been selected to implement 4-H LIFE – Living Interactive Family Education as a part of the 4-H National Mentoring Program. Staff members recently joined representatives from other state 4-H programs for training at the National 4-H Youth Conference Center in Chevy Chase, MD, near Washington, DC, January 10-15, 2011. State 4-H programs selected from three of Cooperative Extension’s proven mentoring programs to implement in their local communities: 4-H Mentoring: Youth & Families with Promise (YFP), created by Utah State University; 4-H Tech Wizards, created by Oregon State University; and 4-H Living Interactive Family Education (LIFE), created by the University of Missouri. The 4-H LIFE Program is a family strengthening program that addresses the needs of children of incarcerated parents. The overall objective of the 4-H LIFE Program is to promote a strong, healthy, and nurturing family environment for children of incarcerated parents, while helping incarcerated parents and trained 4-H volunteers become positive role models and mentors. The program has three, interwoven components focused on parenting skills classes and planning meetings for the incarcerated parents and 4-H club meetings that unite children with their families inside the prison visiting room. These components are designed to create stronger parent-child bonds, improve the quality of prison-based family visits, and increase youth decision-making and communication skills. Incarcerated parents are required to participate in weekly parenting, leadership, and planning meetings in order to qualify for the program. Children of offenders who are involved in 4-H LIFE are also enrolled as members of county 4-H programs and are mentored by 4-H volunteers. It has been demonstrated that a trusting relationship with a caring adult can have a life-changing effect on a young person. Southern University Agricultural Research and Extension Center will implement, monitor, and assess program mentoring strategies to create positive outcomes for youth. Research data indicates that mentoring programs have reduced first-time drug use by almost 50 percent and first-time alcohol use by 33 percent. In addition, mentored youth displayed greater confidence in their schoolwork and improved their academic performance. 4-H is a community of six million young people across America learning leadership, citizenship, and life skills. National 4-H Council is the private sector, non-profit partner of 4-H National Headquarters at the National Institute for Food and Agriculture (NIFA) within USDA. 4-H programs are implemented by 109 land-grant universities and the Cooperative Extension System through their 3,100 local Extension offices in every county across the country. Learn more about 4-H at www.4-H.org. BATON ROUGE, LA, February 2, 2011 – Daisha Badon is scheduled to sing at Carnegie Hall, New York in mid February. The full feature article entitled: "Sing Daisha, Sing," is available on the West Side Journal's website. Daisha is the 17- year old daughter of SU Ag Center Creative Specialist Donna, and Dwayne Badon. Please visit the link at: www.thewestsidejournal.com/home.html and select "News" from the menu, then "Story One." Congratulations, Daisha and the Badon family! BATON ROUGE, LA, February 1, 2011 – The - US Department of Agriculture Secretary Tom Vilsack and Secretary of the Department of Health and Human Services Kathleen Sebelius announced the release of the 2010 Dietary Guidelines for Americans, the federal government's evidence-based nutritional guidance to promote health, reduce the risk of chronic diseases, and reduce the prevalence of overweight and obesity through improved nutrition and physical activity.